Essential landlord forms go beyond a vague lease that you create yourself. American Apartment Owners Association provides essential Indiana Landlord Forms for you to always have available throughout every tenancy. This information is not intended to substitute for legal advice. Should you have questions regarding Indiana Landlord Tenant Law, you should consult an attorney. The rental agreement gives thorough details of the rental terms and will protect your rights as a landlord should the tenant violate the terms of the lease. You can also provide identifying and contact information on yourself and anyone who is authorized to act on your behalf. (1) A person residing in Indiana who is authorized to manage the dwelling unit. If a landlord fails to provide the names and addresses of the landlord and any person authorized to act on the landlord’s behalf at the beginning of the rental agreement, the tenant can recover reasonable expenses associated with having to discover the information on their own. When you provide a comprehensive rental agreement, you are providing much more information than vague forms that may leave out required information. Indiana Landlord Tenant Law requires landlords to “Deliver the rental premises to a tenant in compliance with the rental agreement, and in a safe, clean, and habitable condition.” You can verify that the property is delivered to the tenant in the required condition by including the Move In/Move Out Checklist with your Indiana Landlord Forms. With this checklist, both you and your tenant sign the forms agreeing to the condition of the property at the beginning and again at the end of the tenancy. If your tenant causes damages, you have the tenant’s signature verifying the condition of the property, which is likely to benefit you in court should you take the tenant to court. Landlords cannot just enter the rental property whenever they decide to do so and are not permitted to abuse their right of entry to the premises. Landlords also cannot deny a tenant access or interfere with the tenant’s possession of the premises by changing locks, shutting utilities off or causing the utilities to be disconnected or act in any other manner to deny the tenant access or possession, except by court order. Indiana Landlord Tenant Law does permit utility disruption for “good faith” emergency repairs. Utilize the proper Indiana Landlord Forms when necessary to enter the premises and to give the tenant proper notice, which is easily achieved with the Notice of Entry or Notice of Right to Inspection prior to Termination of the Tenancy. It is unfortunate that some tenants do not pay rent when due. You can enforce the requirement that a tenant pays their rent when you deliver the proper Indiana Landlord Forms to the tenant. The Past Due Rent Notice or the Pay Rent or Quit notice will meet requirements under Indiana Landlord Tenant Law, provided you give the tenant a minimum of a 10-day notice to pay rent or quit. Should the tenant still fail to comply, or if the tenant violates other terms of the rental agreement, you can serve the tenant with the Notice of Termination of Tenancy. When you have essential Indiana Landlord Forms on hand, you are able to ensure that you are complying with many of the landlord requirements under Indiana Landlord Tenant Law. You also give yourself protection against non-compliant tenants when the tenant signs Indiana Landlord Forms, which can become evidence should you have to take the tenant to court. The American Apartment Owners Association provides landlord forms nationwide. 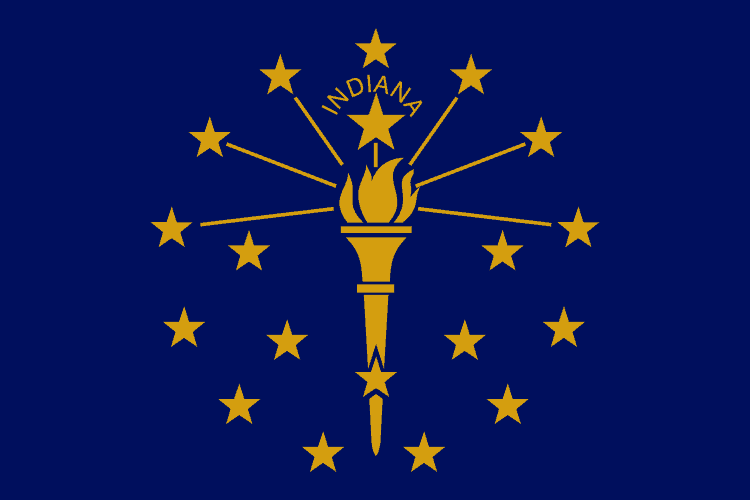 Looking for a state other than Indiana?